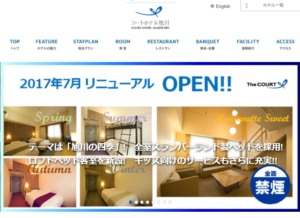 “This is the first visit to this area.I was able to spend it very comfortably. There were light switch and plug socket which were enough to use in my room. Because an elevator was not close to the front desk, I was able to go out without hesitation. The room was clean , bed was good quality, and vending machine was convenient. I was able to control a switch in bedside, so it was convenient. “The front staff was very polite and tenderer for us. There were toothbrushes for children, a baby soap, a humidifier in my room. It was very good. 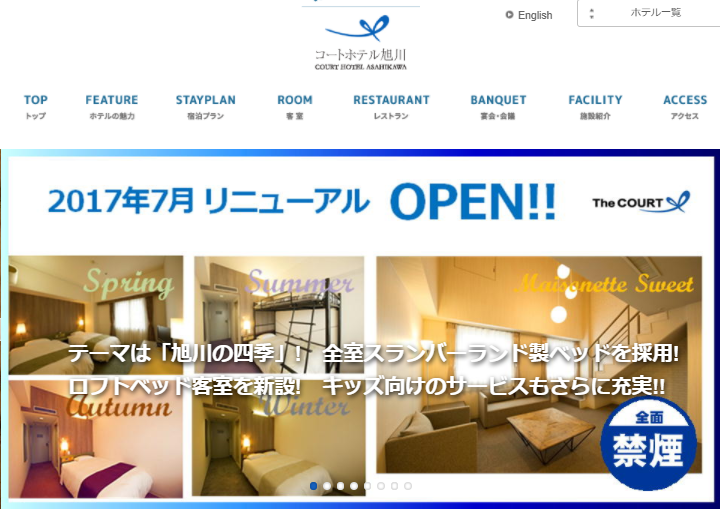 Court Hotel Asahikawa is a wide selection of guest rooms welcomes to you. We will welcome our guests with the utmost hospitality.